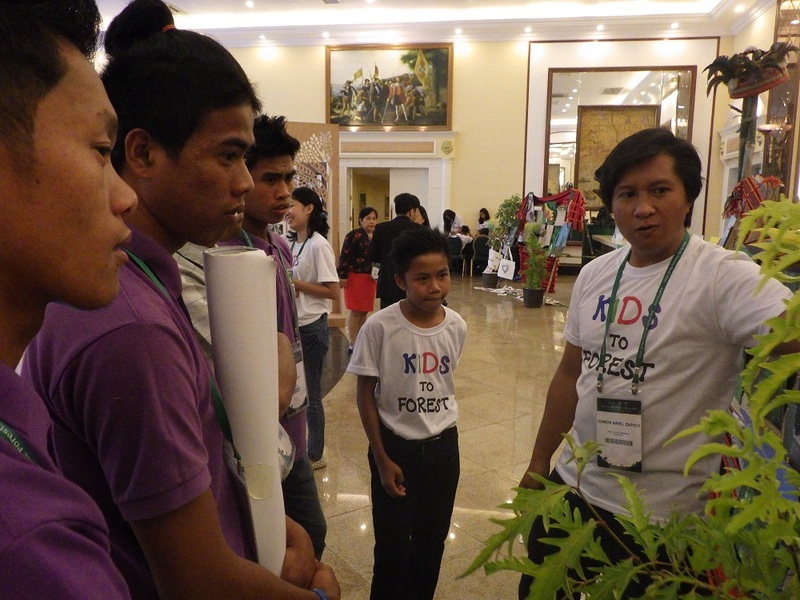 The Pulangiyen young foresters – Jason, Ariel, Israel and Brian, and Arnel Santander, ESSC youth training manager, came from Northern Mindanao to join the Asia Pacific Forestry Week 2016 in Clark, Pampanga. The Theme “Growing our Future” fits what the community have been working within their gaup (ancestral domain). They have various feelings and experience since they arrived in the conference as it is their first time to attend such an activity. Jason shared that he “wants to further develop his social skills and try to interact with others.” Coming from an upland village of less than a hundred households, Brian expressed that he was overwhelmed by the scale of people gathering in one place. He was also delighted to see their mural painting displayed in the Canopy room. Israel expected to simply present and listen to different presentations. He did not realize that they would also join other activities and talk with participants. Ariel challenged himself to go talk with others and understand their activities. In the Canopy room, they visited the Non-Timber Forest Product – Exchange Program (NTFP-EP) that showcased products such as honey and wild teas. They were also inspired by the presentations of the Kids2Forest children who talked about their experiences of the forest. With this and other opportunities in the conference, the young foresters are hoping to learn many things from this experience that they can share in their community. 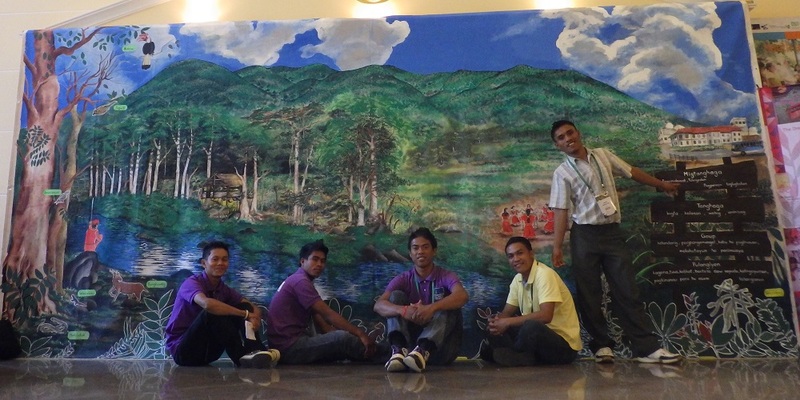 APC mural painting which portrays the balanced relationship of Migtanghaga (creator), tanghanga (creation) and the Pulangiyen community. The broad discrepancy in management characteristics between the state and rural forest-dependent communities suggests that it may be important to support community forestry as a separate and distinctive approach to natural forest management. Integrating it as a minor program within the state model as has been attempted in recent decades has failed to empower community forest managers. By highlighting these fundamental differences in management goals and perspective toward the natural environment, perhaps a new paradigm can evolve that can more equitably address the increasing pressures on Southeast Asia’s resources.